Seeing is believing. Try it now. 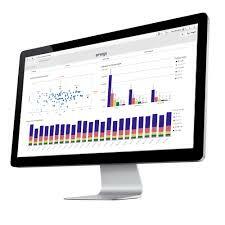 QlikView Personal Edition is not a trial product it is a full version of Qlik’s powerful business discovery software. More than 48,000 companies worldwide trust Qlik. Qlik Sense Desktop is a Windows application that gives individuals the power to create personalised, interactive data visualisations, reports and dashboards from multiple data sources with drag-and-drop ease. Discover more insights in your data in just 5 minutes.